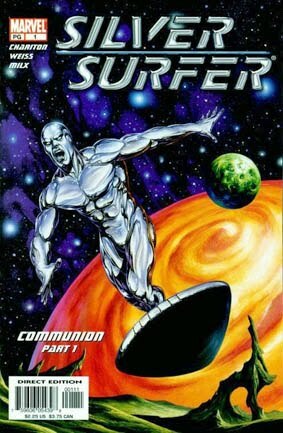 • SILVER SURFER #1 "Communion Pt. 1"
• PLOT SUMMARY: Ellie Waters is a young autistic child from New Orleans that has a talent for art. But lately she only seems to draw the same silvery alien over and over. Her mother is Denise Waters, a street Voodoo practitioner that reads peoples fortunes to get money for the bills.